Kids love bounce houses and jump houses, but the protective mesh around it takes a beating. The children are constantly slamming against it and eventually it’s going to tear. If you’re lucky, then the tear is small can be easily repaired with our 2 x 3 Rainbow Window Netting. It’s not just jump houses that feature protective netting, but slides, moonwalks and other inflatables. If the mesh tears, you can fix it using rainbow netting, thread and a sewing awl. This listing is only for netting, but if you need everything, then consider our moonwalk repair kit. It contains rainbow netting, thread, awl, patches, glue and more. 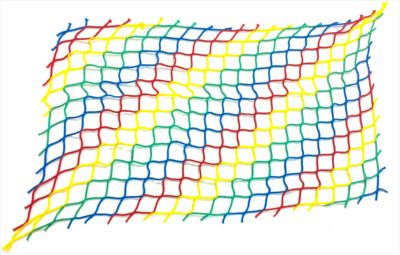 The 2 x 3 rainbow window netting is perfect for small tears, but we also sell full size windows as well as bulk rainbow netting, just choose your size when you order.